Sorbet from The Plug Seedsbank are feminized seeds resulting from combining the tasty and resinous Tangie from Crockett Family Farms with the also delicious Sunset Sherbet. 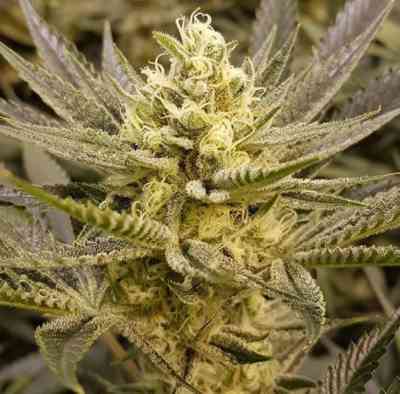 It is an incredibly potent variety, very easy to grow and ideal for indoor and outdoor use. Especially indoors, it is a plant that grows very fast and yields are well above average. It is ideal for SOG crops when a fast flowering, columnar growing mother is selected. It also has no problems in branching and covering large areas of cultivation, making SCROG incredible. From the change from photoperiod to flowering, it is harvested in about 9-10 weeks, with some phenotypes somewhat faster. Outdoors, it is a plant that grows with great vigor and elegance from day one, with a typical spruce structure. Its thick branches will be covered with large, very resinous buds and delicious orange aromas. It is possible that in the last weeks of flowering supports are needed to support the weight of the flowers. It is harvested between the third and fourth week of October. The taste of Sorbet is as delicious as its aroma, sweet oranges and with a touch of acidity. The effects are very potent, with a very psychoactive start and a very relaxing finish while cheerful and fun. It is the perfect variety to enjoy at any time of the day in good company.